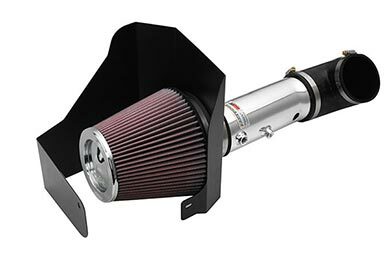 K&N 69-1019TS - K&N 69 Series Typhoon Intake Systems - FREE SHIPPING! 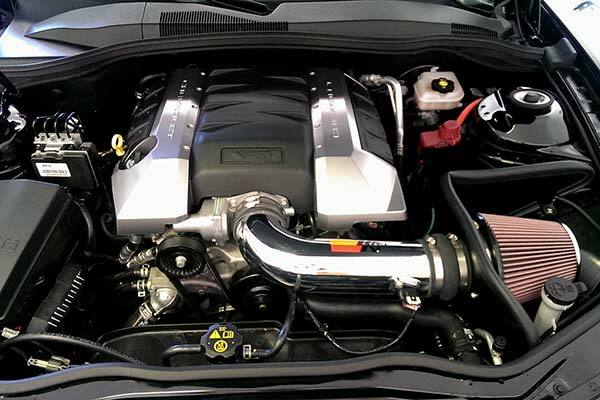 I've had my Civic Si for two years and decided it was time add a little more hp and help with acceleration. 45 minutes of easy install. Definitely meets my expectations. 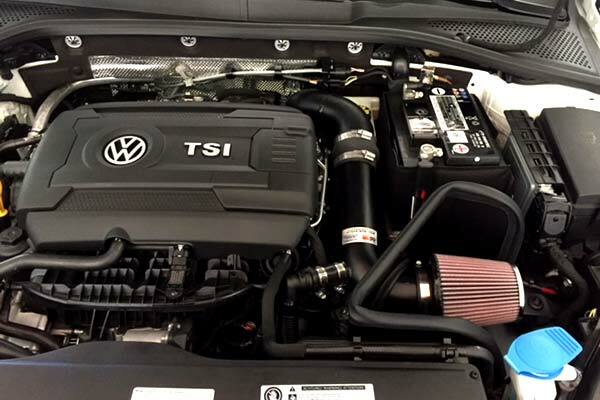 Adds a nice growl to the little 4 cylinder as well. Very happy. 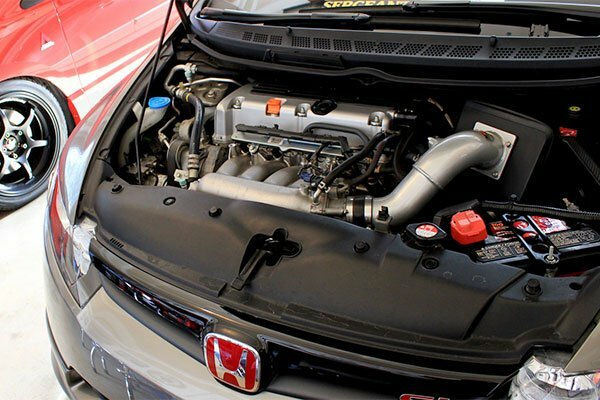 I loved my civic si before my K&N Intake, I REALLY LOVE IT NOW! It is even more enjoyable to drive now. Quicker response, more power, and that cool deeper sound of power at higher rpm's. Great product, easy to install, great price. Overall 5 star transaction. 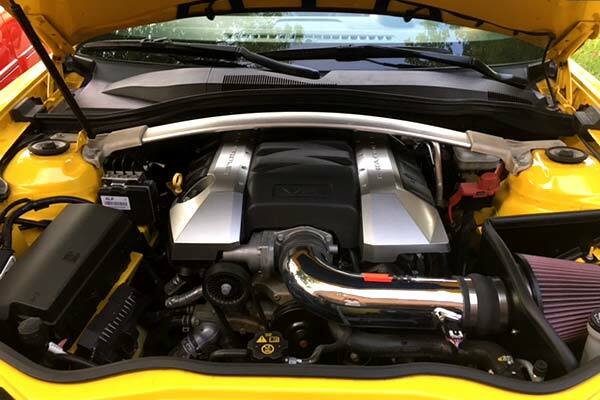 Don't regret buying my short ram intake at all, makes a great sounds when accelerating. Also I can feel the difference in power. Looks great and comes with everything you need except the tools of course. Definitely a good investment for your Honda Civic. Love it! This product adds bling when you open the hood and good sound and performance when you mash the go pedal! They don't claim an mpg improvement but I see about 1 mpg improvement. The sound is great. If you love hearing your Vtec kick in this is for you. I don't realllllly notice much of a big improvement on performance but I will say that I notice more torque steer when shifting from 1 to 2 to 3. 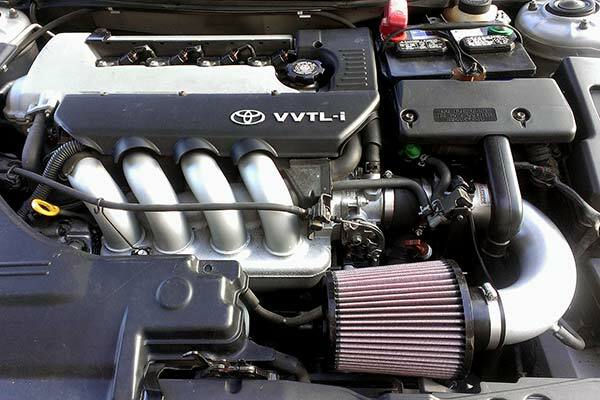 I like this intake better then the AEM intake ,install and endurance. I had a AEM and it rained and sucked up a bunch of water, not good! But didn't have that problem with K&N. I only wish they included new hoseclamps because they say to reuse oems but they don't fit after adding larger hoses. Overall great performance. Makes a nice sound and all but no actual gains . I wouldn't recommend this I say go for a skunk2 or something similar . But this one I even got it tuned and still no real difference except the sound . Will be selling it to a buddy of mine for pretty cheap so I can just get one that will do more than just provide a pretty sound for 280$ . Looks,sounds and feels great. Only bad thing i dont like about it is the hose that it came with is too small. Other than thaf its a great intake. Great price for the quality of the product. I caught Auto Anything also when they were having a 10% off sale. About sixty dollars cheaper than the AEM and same quality. Installation was fairly straight forward. Sounds great when the engine revs up to the VTEC. The only thing I would say would be to have a computer on hand because after I installed it every warning light in the dash came on, however with the computer it was easily reset. Would recommend. Marginal gains w/o annoying noise. 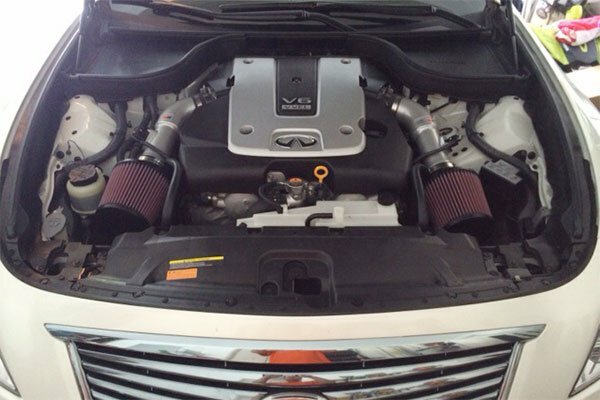 Paired the K &N intake with a Magnaflow exhaust. Gets to 7000 rpm faster in any of the first 4 gears. Can sense a faster car especially at speeds under ninety. Above that, this quicker acceleration can't be maintained. Sound is louder/deeper only when the gas pedal is nailed just as it should be. This is my second purchase from AutoAnything and just like the first one it was an excellent buying experience. 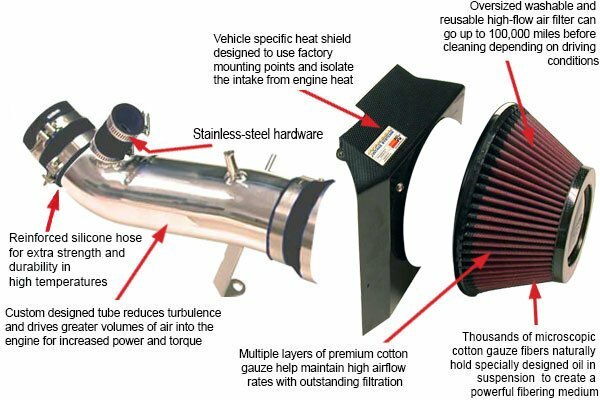 If you have an import and thinking cold air intake is too much as far as install and cost, consider this product. Also check for promo codes! The installation was fairly easy. The only issue that I had was with the super glue. The pictures weren't as clear as they could be. My suggestion to anybody about to install this part is to make sure all of your pieces fit within each other prior to installation. Love this product. I can't really say if it's better or worse than another product, considering I've haven't had the opportunity ity to test any others. 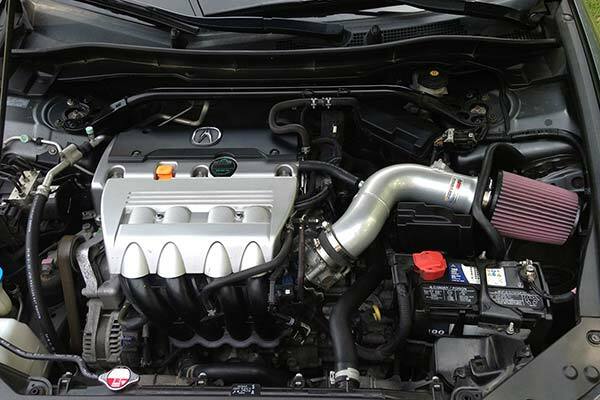 The typhoon sri looks beautiful under the hood. Not to mention the sound it produces, music to my ears. Installation...let me start off by saying that I pay people to do work to my car. However, I installed this myself (with help from k&n's installation video on YouTube), took about an hour. Couldn't be happier. 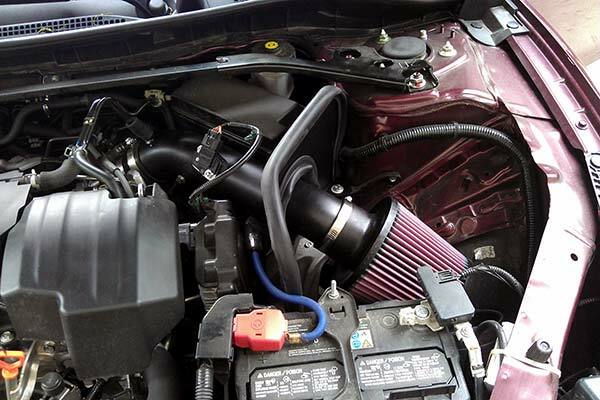 this is the best air intake that i got for my car. just awesome! 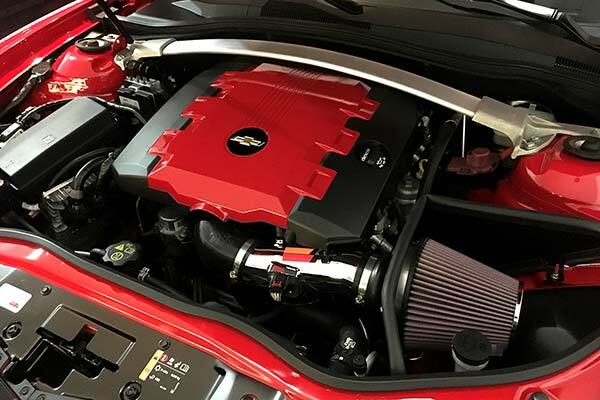 I've never installed a CAI/SRI before and wasn't sure what to make of the Typhoon, but the online video and printed instructions were spot on: it made installation straightforward. I immediately noticed an improvement in performance, although slight, especially in the mid- to upper- RPM band. I've also installed Full Race's 3" stainless catted downpipe and catback exhaust, and now reflashing my ECU. I would not hesitate to recommend the Typhoon along with FlashPro for a nice upgrade. 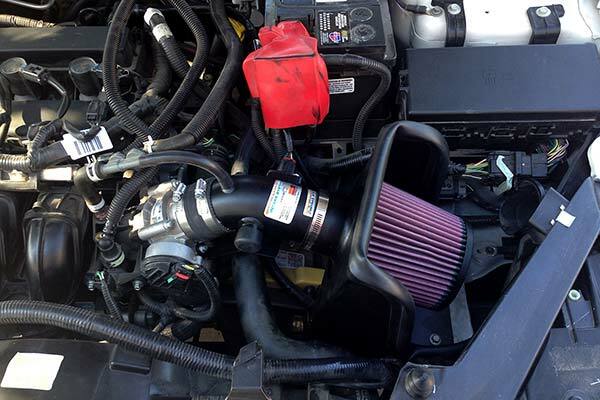 Great value for an awesome intake! I bought this for my 2013 Si. 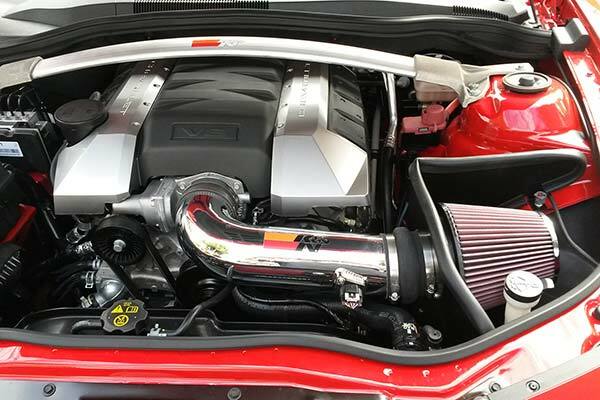 Absolutely awesome intake. It's nice that it's quiet when you want it to be, but it sounds amazing under throttle. About a 30 install, easy to read instructions. Overall great value! I wanted to negate the impact of AC on the 201BHP. Here in FLA AC runs 11 months. K&N is the solution. Easy to install. Serious improvement on MPG (4+)and perceived power. My wife didn't notice the increase in sound until I did a full throttle exercise. Wow what a nice roar! Makes me smile. The Honda Svc dept says ok.
Reference # 765-166-116 © 2000-2019 AutoAnything, Inc.